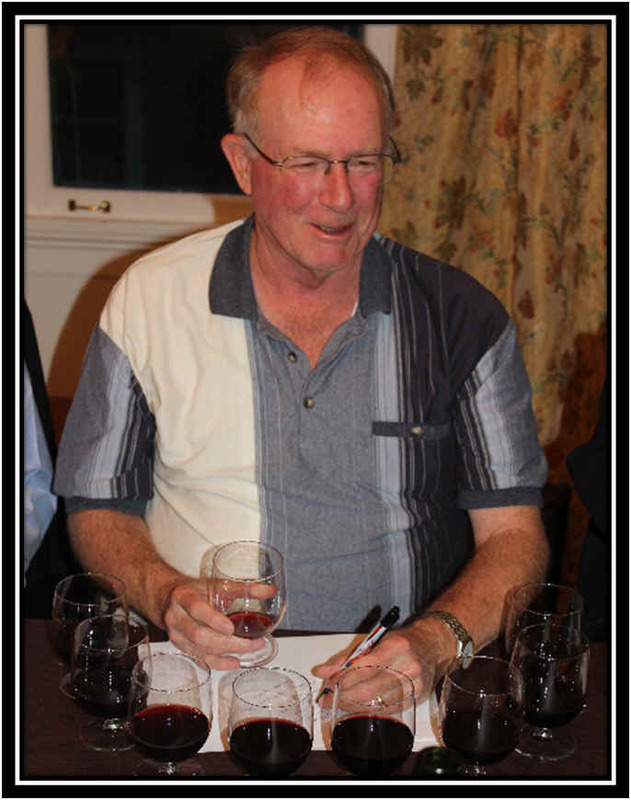 Cabernet maven Ernie Anderson assembled a nice set of new releases, 7 of the wines being from 2009 and one from 2008. And since Ernie resides in the East Bay, he included a couple of bottlings from his backyard turf in the Livermore Valley to pit against some Napa Valley bottlings. It was a David-versus-Goliath sort of wine tasting. And everybody loves this type of story except, of course, if you're Goliath. How would the two wines from the David Valley fare against a half a dozen from the Goliath area? One wine finished nicely ahead of the pack with two just off the pace. There were three wines clustered in the middle and two wines in the back of the bus. Results based upon each taster's 1st place to 8th place ballot. As in golf, low score wins. 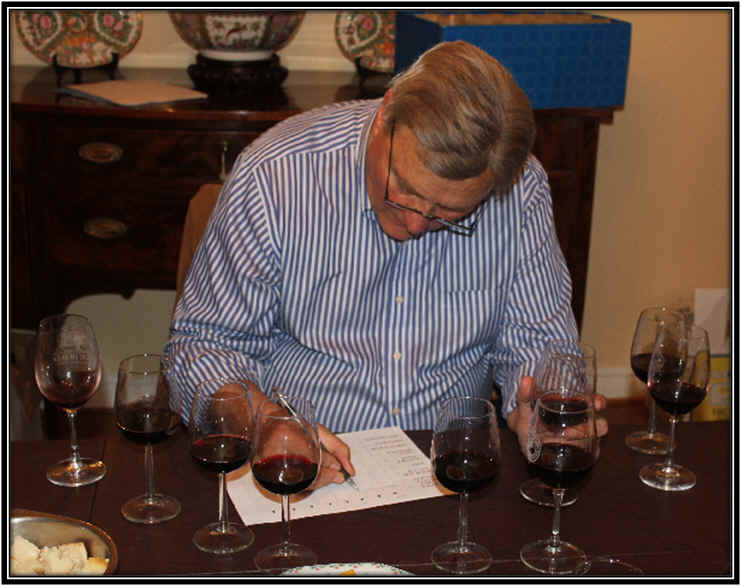 As often happens, the tasting notes posted on a back label or website often differ from what we find. "This supple and lush wine immediately opens to flavors of blackberry, clove and hints of vanilla. The medium bodied palate is balanced with flavors of eucalyptus, sweet plums, ripe cherry and hints of tobacco, while the finish is accentuated by nice acidity and subtle oak flavors. Drinkability: Now to 2016." Clear in appearance with medium ruby color, this wine offers a lightly earthy fragrance and has very little in common with good Cabernet. It is a perfectly standard red wine up and down the score-sheet. Medium-light bodied and lighter than just about all the other wines in the tasting. Boring, though clean and standard. No stars on my 3 star scale, signifying this is a totally dull, lackluster red wine. "A well-rounded, approachable Cabernet Sauvignon, perfect for pairing alongside a beautiful filet or hearty chili. Soft undertones of toasted hazelnuts and plush tannins whisper quietly among notes of freshly-brewed coffee, sweet vanilla bean and dark, exotic fruit. The finish lingers on the palate with a hint of sweet mint to leave you desiring more." We found a clear wine with medium+ ruby color. The fragrances were reminiscent of pencil shavings and hints of dark fruits such a plum. It's dry and soft on the palate, being medium-bodied. The woodsy notes dominate the palate and it seems to be lacking in fruit, so cellaring this might be questionable. No stars on my three star scale, but the nose is nice here. "The 2009 Knights Valley Cabernet Sauvignon has aromas of clove, allspice, lavender, and cocoa. Juicy flavors of blackberry, sweet tobacco, and pink pepper are accented by fine, approachable tannins, nice body and a rich finish." "A lot of Cabernet at this price. Combines ripe, plump, plum, black cherry and black berry flavors in a rich, smooth, polished style, full bodied and firming nicely on the finish, where the tannins have a minerally edge. Drink now through 2021." I found a brilliantly clear appearance in this medium-deep ruby red wine, There's ripe fruits with some blackcurrants and plum. It stops short of being over-ripe. It's dry and nicely acidic, with light tannins and dark fruit flavors. I gave this a one star rating on my three star scale. "We created this wine to be low in tartness yet abundant in tannins, providing impressions of friendly chock richness. The palate enters rich with sweet, ripe tannins, expanding to a greater breadth of refined textures. The flavor profile includes dark chocolate, sweet tobacco, mocha, leather, brown spice, cedar, vanilla and sweet licorice. The primary goodness of this wine is the presence of balance, with a supple texture, approachable grip and a fruit of the earth essence." We found a brilliantly clear wine with deep purple color. The wine has myriad of aromas, showing blackberries, cocoa, sweet oak and a faintly floral tone. It's dry, fairly full-bodied and has creamy, oaky flavors with some dark fruits and nice structure. I can't say it will improve with cellaring, but it's a showy, flashy bottle at this stage. I gave it a two star rating. "Rich purple color, nose of black cherries, chocolate, espresso and lavender. 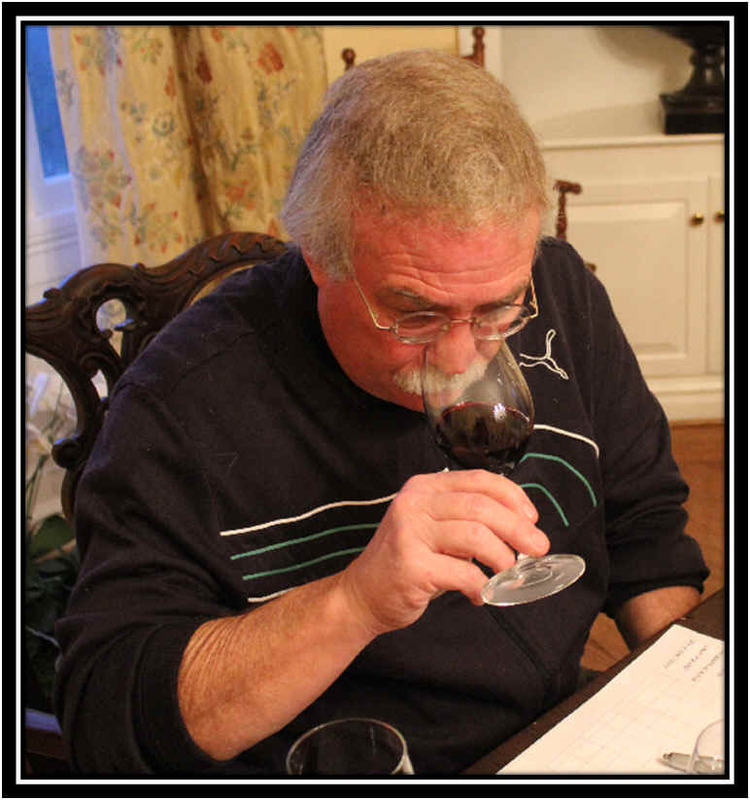 Mouthfeel is rich without being heavy, supple tannins provide nice structure. Flavors of plums, boysenberries, blackberries, earthy and expressive wine. Very well balanced at such a young age, should age well." I'd say they did a good job of describing the wine in the bottle. I found this to be dark purple in color and clear in appearance. There's a floral tone I associate with violets, lots of dark fruits and nicely woodsy elements thanks to some good oak barrels. The wine is quite full-bodied and robust...I found a moderate level of tannin in this wine, but given the intense fruit and oak, this should evolve to a balanced wine in 5 years, or so. And it ought to last another 5 beyond that. Two stars-. 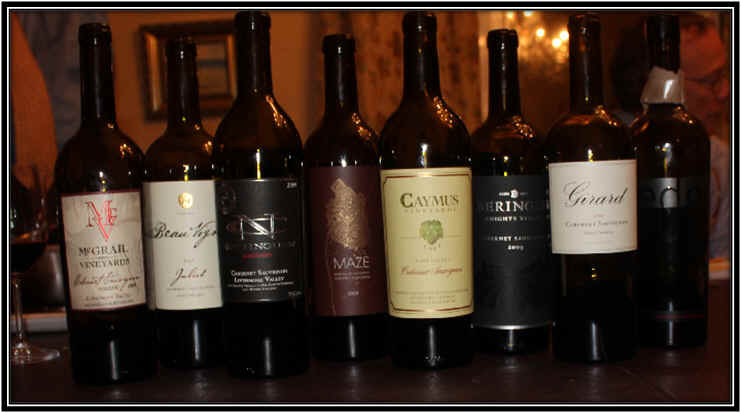 "Cabernet Sauvignon for any occasion, classic in profile to Livermore Valley�s terroir. The wine opens with aromatics of ripe red fruit laced with blackberry, dark cherry, cedar, vanilla and other toasty oak attributes. Enjoy this wine now with BBQ, pizza, or any other fare that can stand up to a Cab with some body." I recall having a Nottingham wine in a tasting about a year ago and not finding it to be especially good. This new vintage, however, is quite different and it's seriously good. The wine is rather dark in color and shows lots of sweet oak fragrances with a nicely woodsy undertone. I liked the lumber-yard sorts of notes from what I suppose is American oak cooperage. The wine is medium+ bodied and nicely oaked on the palate, too. It might be a tad simple, since the wine hits the same notes all throughout, but it's still a nicely satisfying Cabernet. All it needs is a well-grilled steak. One-and-a-half to two stars. "In looking for a sophisticated, lively Cabernet Sauvignon, the 2009 Juliet is the end of the search. This playful Cabernet really delivers it all and without pretention (sic). There is a great purity of fruit to this wine. It is not earthy or gamey in any way. The nose lifts like clean velvet. Notes of cassis, blackberry jelly jar, barrel vanillin and rose potpourri fills the glass. As this wine opens up, more surreal notes of stones, tar and barrel toast come through. The acid bounces from wall to wall in the mouth. This is for certain not a one dimensional wine that only rests itself on the top of the tongue. This wine is nothing short of a mouthful. A broad red fruit profile takes over the focus with help from firm tannin and superb structure. This wine is a joy to drink and should find itself in every collector�s cellar. Stored correctly, this wine should survive 15 years or longer from release." I found a medium ruby color to this lightly herbal, cassis-like Cabernet. The wine has nice red fruit notes and just a faintly cedar-like tone. It's medium-bodied, not a big, heavy red. I marked it down, though, finding the wine to be a bit hot, a bit excessively tannic and simply coarse. Will bottle aging take care of these issues? Perhaps. I'm not convinced, though and gave this no stars. Certainly other tasters saw this wine in a more positive light. 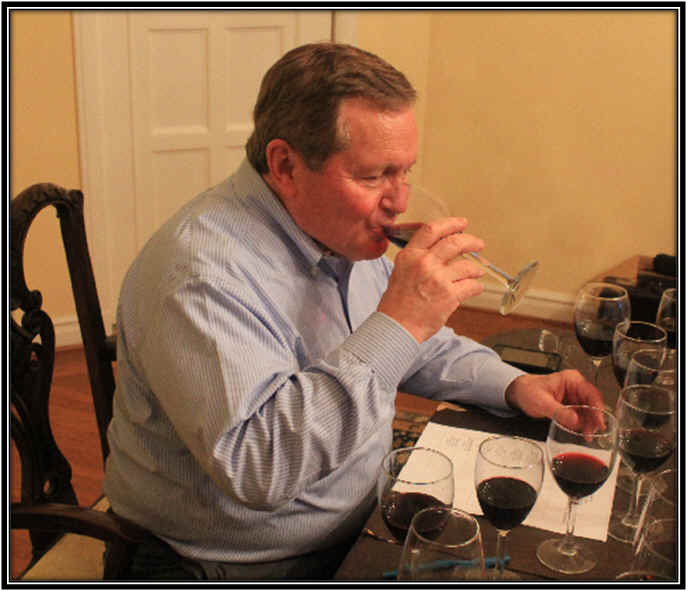 1st Place: McGRAIL VINEYARDS 2008 Livermore Valley CABERNET SAUVIGNON "Reserve"
This wine had more than half the tasters ranking it first or second in this line-up and it easily won the tasting as a result. The wine is clear in its appearance and shows a deep purple color. Despite being a year older than the rest of the field, the wine was a opaque and intensely colored as any of the others. 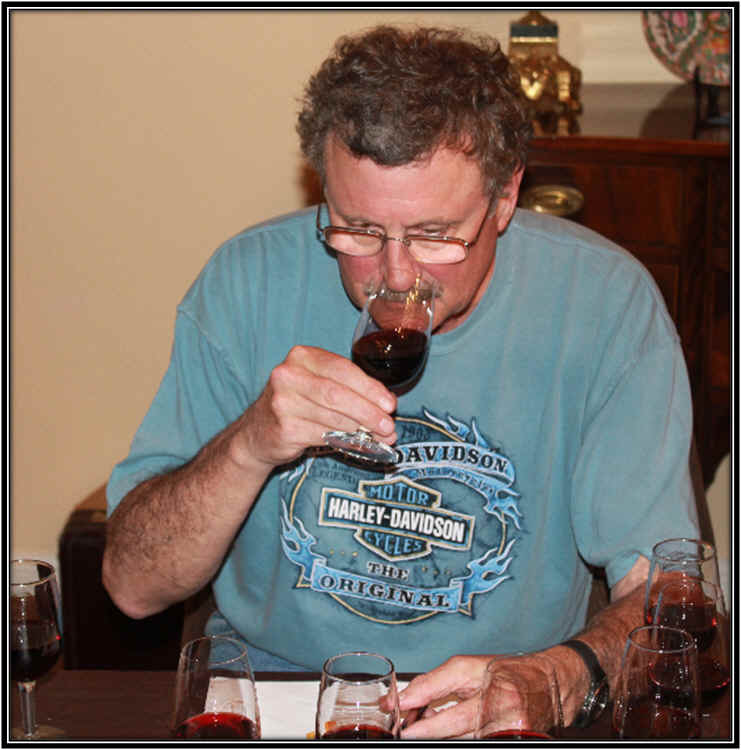 The nose is very attractive, displaying woodsy, cedary, oaky notes but with plenty of black fruit tones in the mix. The wine is medium-full bodied and dry with ample acidity. The flavors confirm all the features of the aromas, showing a lot of dark fruits on the palate and a lovely cedary background. It's well-structured and has a bit of muscle, while certainly being enjoyable now if paired with food. I gave it two+ stars. Bravo!!! 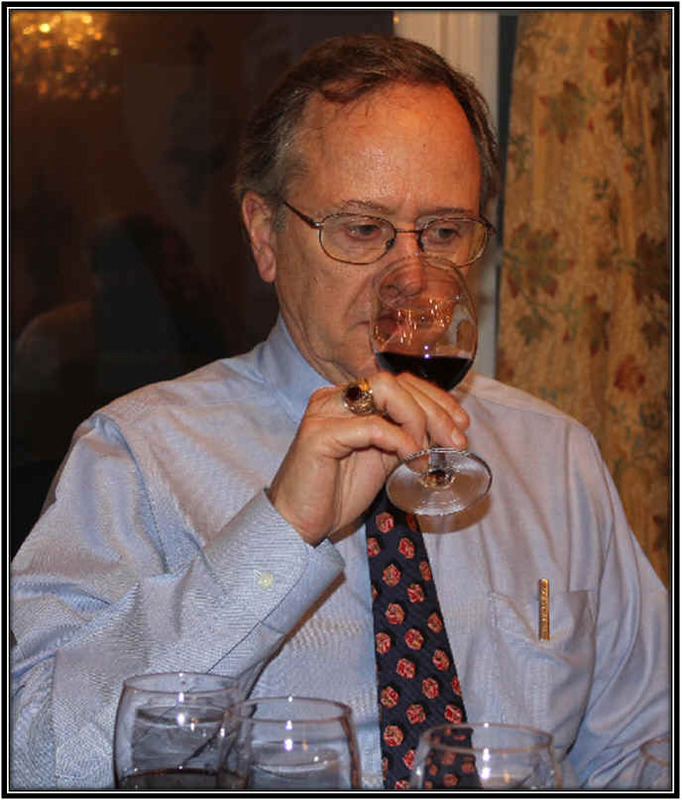 Before the tasting, Host Ernie Anderson poured a Mystery Red. This currently retails for between $150-$200.